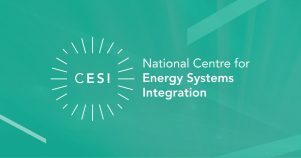 The National Centre for Energy Systems Integration (CESI) is a £20M Centre funded by the Engineering and Physical Sciences Research Council (EPSRC) and Siemens. The Centre brings together energy experts from around the world to help unravel the energy network and understand future supply and demand. The Centre paves the way to a flexible smart infrastructure, empowering customers and giving them greater control of their energy use. It allows industry to meet the tough new low carbon targets. Readysalted were commissioned to consult on and create the branding for the project. Providing a brand which reflected multiple (big) data streams, the colour palette of the stake holders and the structure of the National Centre. The brand needed to be flexible enough to adapt across printed media to digital platforms. The brand guidelines covered usage from social media, corporate literature to icon sets.